Electrocleansing uses a computer program that generates specific frequency sets for common disorders. An electronic box, called an Electrobooster, plugs into the computer. It increases the energy of the incoming signal and electrode pads deliver the energy to the area being cleansed. The original concept of using resonant frequencies to disable microbes was discovered in the 1930's by Royal Rife. He invented a Universal Microscope that allowed him to observe the day-to-day activities of live micro-organisms. He then tested frequencies to determine which ones were lethal to these invading microbes. He built frequency machines that destroyed many types of bacteria and viruses, including cancer viruses. Sadly, his research has been deliberately destroyed. Since the 1980's scientists have been reconstructing Rife's findings and using modern electronics to build resonant frequency machines for Electrocleansing. Specific resonant frequencies shake microbes to death in a way similar to an opera singer shattering a wine glass. Pulsing waves of electricity keep the bacteria or other microbes from adhering to the cell walls. Electrocleansing brings blood and nutrients to the target area which speeds healing. The flexing and relaxing of the muscles during the session accelerates the movement of the blood, removing many obstructions. Certain "bugs" can't withstand the electrical energy and are electrocuted. By the way, these resonant frequencies that are so deadly to micro-organisms have not been shown to cause any harm to normal tissues. 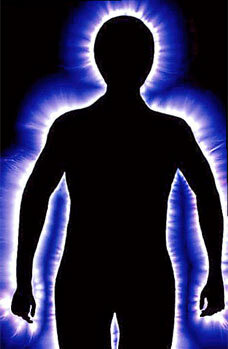 Scientists have proven that the body is an electrical system. Cells of the body act similarly to tiny batteries storing and releasing energy as it takes nutrients, releases waste, and repairs and reproduces itself. Each cell has a measurable electrical charge, which must be maintained to function properly. Energy flows constantly between all cells throughout the electrical circuitry of the body. When damage or trauma occurs to living cells, there is a disruption in their electrical capacity. This condition is often made known by pain. It can sometimes take many days or months of rest to heal such damage. The deep pulsing of an Electrocleanse machine does more than just disable disease organisms. It helps repair electrical abnormalities and imbalances when the body is diseased or injured. Both chronic and acute disorders respond. Some people think of it as a way to "jump start" a weak battery. Electrocleansing uses high energy with low amperage. High energy may shock, but the discomfort is only for a moment. In the body, cells transmit and receive energy and each has its own frequency with which it oscillates. Healthy cells oscillate at higher frequencies than do unhealthy cells like cancer. Dr. Steve Haltiwanger, author of The Electrical Properties of Cancer Cells, describes how the body functions as a living electrical circuit. Various cells and tissues are conductors that allow electrons to flow, insulators to inhibit electron flow, semiconductors that allow electron flow in only one direction, capacitors that accumulate and store a charge and later releases that charge, and so on. By Electrocleansing the areas where pain is present, many have found long lasting relief.